Entrance $10 per team( teams of 2 or 4) 1st and 2nd prizes to be won. 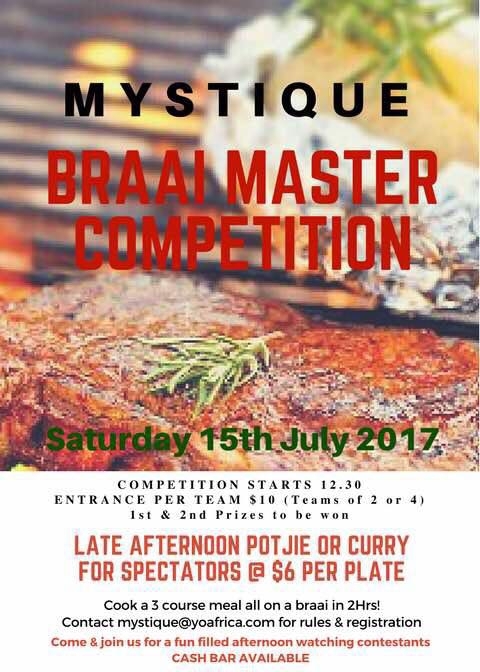 Late afternoon Potjie and curry for spectators for $6 per plate. Cook a 3 couse meal all on braai in 2 hours. Contact mystique@yoafrica.com for rules and regulations.